Daniel Rechtschaffen, Bowdoin class of 2018, and Museum of Art curator Joachim Homann discuss the bequest of original French caricatures, illustrations, portraits, and writer’s drawings from the collection of Artine Artinian, Bowdoin class of 1931, the foremost American scholar of Guy de Maupassant. Presented in conjunction with the exhibition Where the Artist’s Hand Meets the Author’s Pen: Drawings from the Artine Artinian Collection at the Bowdoin College Museum of Art. 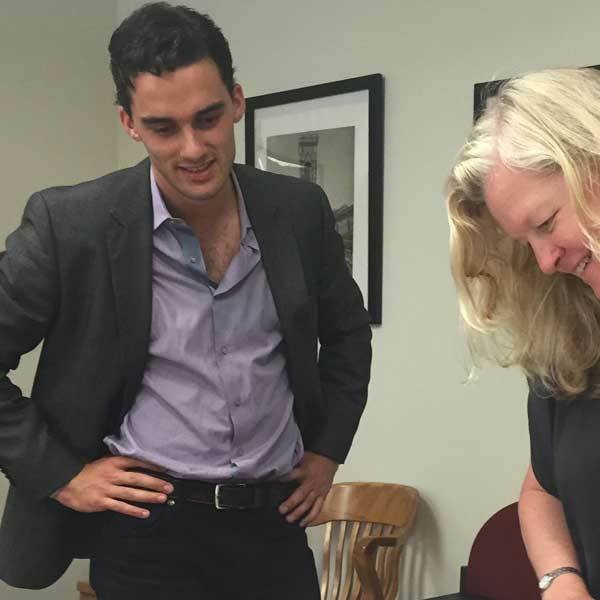 Image: Daniel Rechtschaffen ’18 and Pamela Fletcher, professor of art history, examine drawings in the Artinian collection.